Your child has a birthday coming up and you want to make the cake yourself, but you have no idea where to start. Here’s a really easy sponge cake and three icing options to get you started. And don’t worry too much about achieving expert levels – the most important ingredient is love. Preheat the oven to 180 °C. Grease a deep 23-cm cake tin and line the bottom with baking paper. Whisk the egg whites until frothy. While whisking, add the pinch of salt and caster sugar by the spoonful until it’s stiff. Whisk the egg yolks into the egg whites with a fork. Sift the cake flour over the mixture and lightly fold in. Pour into the baking tin and bake for 40 min or until done and the top is brown. Tip: Decorate with any icing of choice. 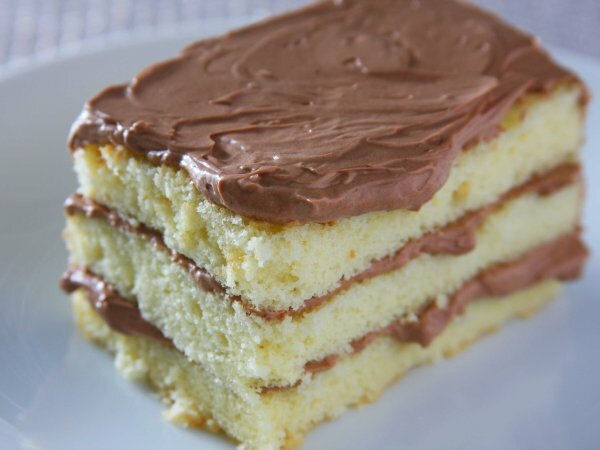 Halve the cake horizontally to make 2 layers. Beat 45 ml (3 T) soft margarine or butter until creamy. Add 750 ml (3 c) icing sugar and 60 ml (¼ c) milk and beat until pale and fluffy. Optional: add 30 ml (2 T) cocoa powder to make a chocolate variation. Sift 500 g icing sugar in a bowl, add 150 g cream cheese, 30 ml (2 T) butter and 5 ml (1 t) vanilla essence, and whisk until creamy and fluffy. Place 300 g dark chocolate, broken into squares and 300 ml cream into a glass bowl and microwave for 1-2 minutes, stirring every 10 seconds until the chocolate has melted and is well incorporated into the cream. Let it cool off for about 5 minutes and spread over the cake. Use a large clear plastic bag such as a sandwich one and spoon the icing into it. At the corner of the bag cut a small piece of the plastic away and start piping. You can also insert a piping nozzle and cut the plastic a bit bigger to fit just the tip of the nozzle through.